UPDATED with mobile 3G data options for visitors. If you are unfamiliar with the game play and back story, it doesn't really matter. It's very simple: control predetermined points and take territory by linking three into triangles uninterrupted by enemy links. In Tokyo, most of the Googlers are playing on the side of The Enlightenment, which gave them a headstart and a stronghold in the Roppongi, Shibuya, i.e., the Yamanote area. The Resistance are relegated to shitamachi, which is actually quite appropriate because it gave The Enlightenment time to obtain higher levels and more territory — resistance should be defined by lower numbers occupying less desirable areas. A side benefit (really the entire purpose of the game) is improved navigational data (and likely more) for Google Maps. If you can't agree to sharing anonymized location data with Google, then this game isn't for you. I actually see this as not just a good thing, but a brilliant thing. 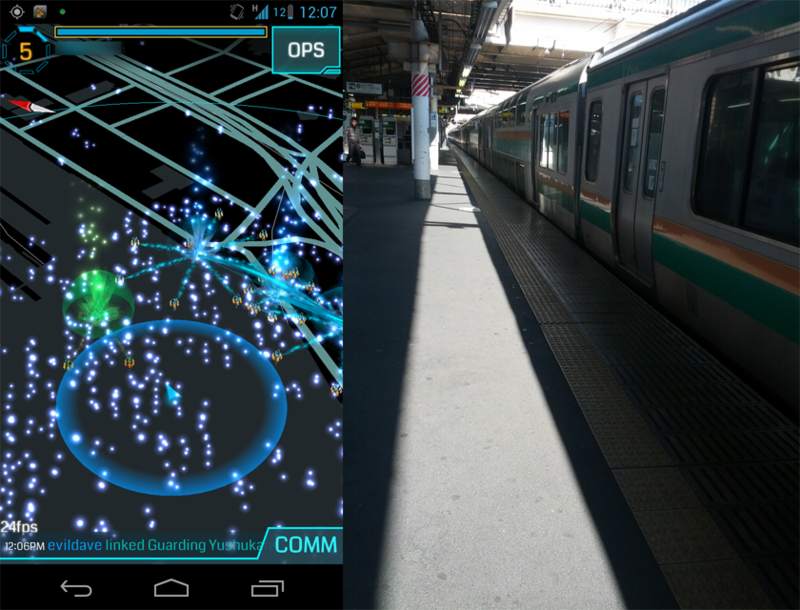 Google's walking directions in Japan, which are still in beta form, need a lot of work. They've gotten better since introduction but will still often direct you across multiple lanes of traffic in locations where no proper crossings exist. Just ask Apple. You can't build a mapping service from scratch with crowdsourced data. But you can powerfully augment a robust database with the fundamental background layers already in place. Rather than providing a path to walk, provide two points and analyze the route. If you've got a day in Tokyo, why not leave the guidebook at the hotel and explore lesser known areas on foot? Many of the "portals" are shrines, monuments, or temples, and often the most interesting of those are not necessarily the largest and most famous. For getting around, each of the Subway companies (unfortunately there are two independent ones) offer 1-day passes, often for less than the cost of opening a taxi door. 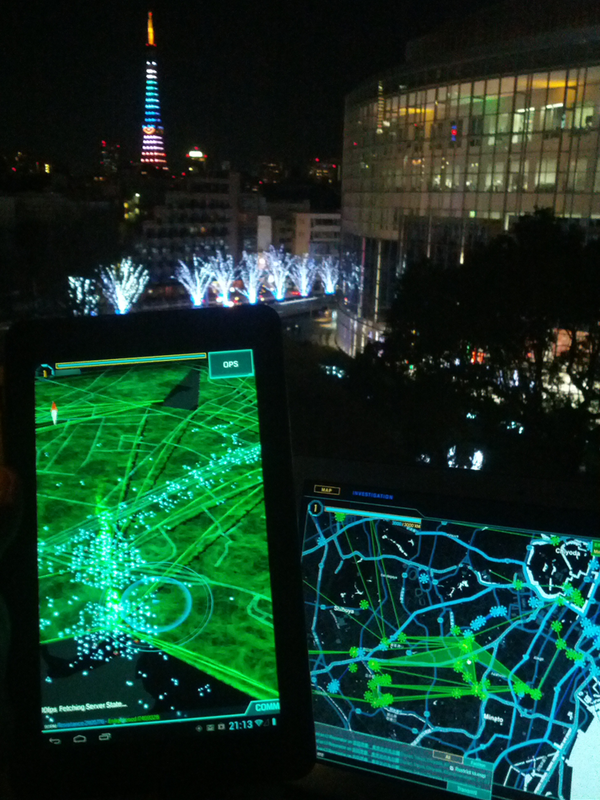 Each network is well built out and can get you within a few kilometers of any portal in the 23 wards of Tokyo. Add a few hundred yen for the occasional JR or private rail ticket and you can get just about anywhere. The best value are the Toei tickets for the services operated by the metropolitan government. All Toei subways (Asakusa, Oedo, Mita, Shinjuku) can be ridden all day for ¥500. However, this is only available during weekends and public holidays during certain times of the year. The standard pass is ¥700 and available all year. This adds the extensive bus system, the rustic Arakawa Line tram, and the Toneri Liner, which departs from Nippori (which is in need of a stronger Resistance presence). Japan Communications Inc (JCI) sells a variety of prepaid data-only SIM cards, primarily under the "b-mobile" branding. For around ¥3,000 (perhaps a bit more), you can have mobile data access for portal hacking. Make sure your phone is 1) unlocked and 2) supports UMTS Band 1 (2100 MHz), as explained here. These SIMs can cause high battery usage in some phones, but there is a patch for most rooted phones. See our comparison of b-mobile SIMs. The easiest by far (but at a relative premium price) are the Visitor SIMs, which can be delivered to a hotel or picked up at major airports. The "U300" and other reduced speed products might not be the best choice as they have high latency, and Ingress needs to have actions synched between the servers and all clients simultaneously. The 1GB options, which have much fewer speed restrictions, will be more suitable. The absolute best value is the "1GB Flat Rate" SIM purchased from a major electronics retailer, but this requires activation from a Japanese mobile phone and has no English support other than "pressing 2 for English" during the activation process. The Tokyo Metro has been boasting in its carriages that mobile coverage within the underground tunnels is being improved. Those used to the subway in New York City or Washington D.C. are often impressed with the ability to get a signal in the stations. Those from South Korea are spoiled: not only do they have cell coverage in the tunnels but many of the subway cars in Seoul have Wi-Fi. The three men representing the signal bars are doing three different things with their phones in the tunnel: work, love, and play. I do two of those three things. The small print warns that the cell usage in the trains should be data only, not done near the priority seats, and may be spotty in some areas. Indeed, when I tried it out on the Chiyoda line, the reception was much better than usual, but I was unable to maintain a streaming video without interruptions in the dead middle of the tunnel. 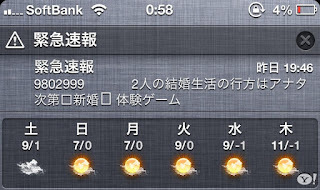 Anyone who was around during and after 3/11/2011 would be familiar with these alerts. Upon arrival, any silent/manner mode settings are overridden and all phones in the vicinity start simultaneously squawking this annoying, swept-frequency alert that has come to be associated with an impending earthquake that may or may not be the "big one". There has been an issue with Softbank iPhone 5s receiving advertisements for marriage role playing games, news of an ANA commuter flight overrunning a runway, and an announcement that pitcher Shuhei Ohtani signed with the Nippon Ham Fighters. Well. I guess some of that might be important. It's not yet clear exactly what is going on behind this. According to what I can gather from the wrong side of a paywall, Softbank is apparently saying that they are not sending these messages. It is my understanding that the Japan Meteorological Agency (JMA) pushes these, and they are then relayed through the carriers and broadcasters. It has to be a problem on Softbank's side. The No! Softbank blog has been collecting these. ANA flight overruns runway at Shonai Airport. Stops in grass. No injuries. I've now updated both the NTT Docomo LTE version (F-01D) and the Wifi-only version (FAR7). As far as I can tell, there is nothing but goodness that comes with this. Mobile Chrome has grown far beyond the default Android browser but requires version 4 (ICS) or higher. Google Maps was previously very unstable, often force quitting. In the short time after updating, I've tried but been unable to crash it (yet). Zooming, rotating, displaying multiple layers all work much better than before. 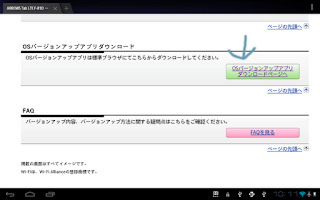 Best of all, the ability to disable system apps has not been removed by either Fujitsu or Docomo! 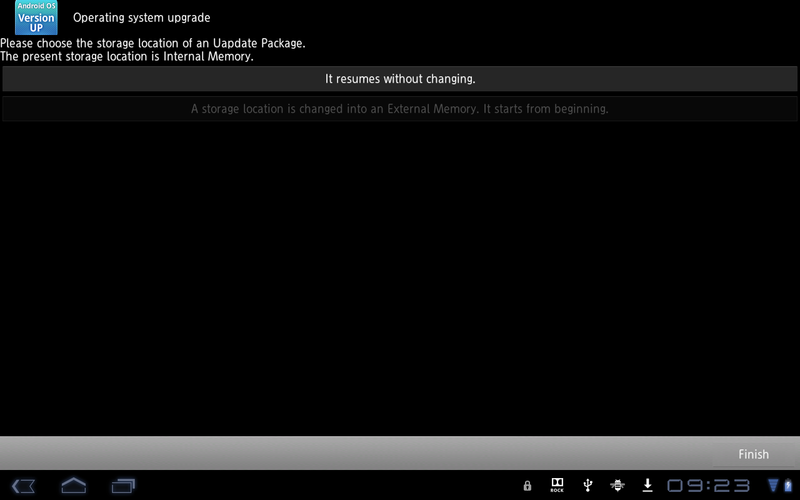 Finally, I don't have to stare out a bunch of useless installers for crap I'd never use! Do it all over wifi from the tablet. Since I was updating two of these, I did both. 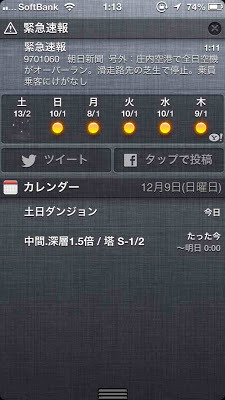 For the Docomo F-01D, I first downloaded the update package. For the Wifi-only FAR7, I did it all from the tablet. Each of these require downloading a an updater app (apk). 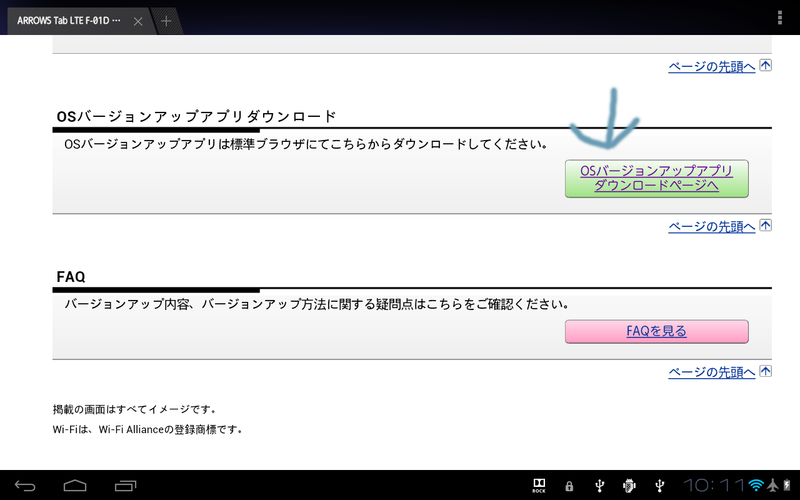 Click the 「OSバージョンアップデートダウンロードページへ」button, then on the next page, scroll down to the bottom and click agree 「同意する」after which the updater apk will be automatically downloaded. 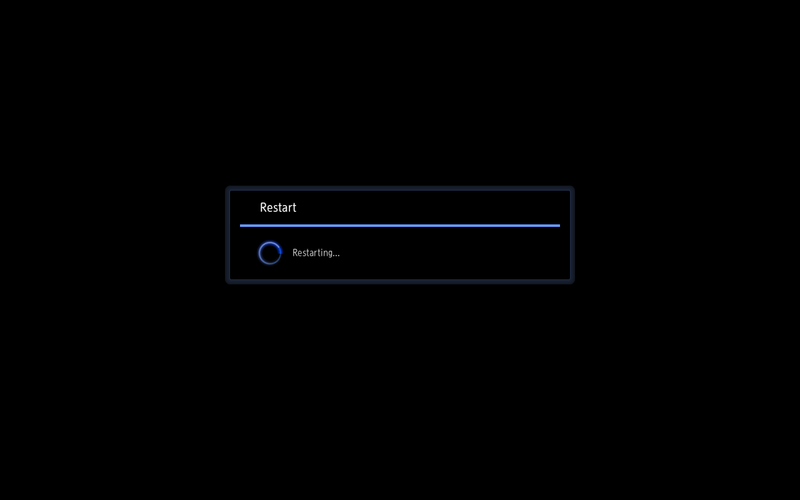 First install, then run the updater app, making sure you have 1) 50% battery (at least) and 2) enabled sideloading of applications. Follow the directions and make sure you keep the tablet on a power source. Engrish. I was presented with this because I pre downloaded the update package. 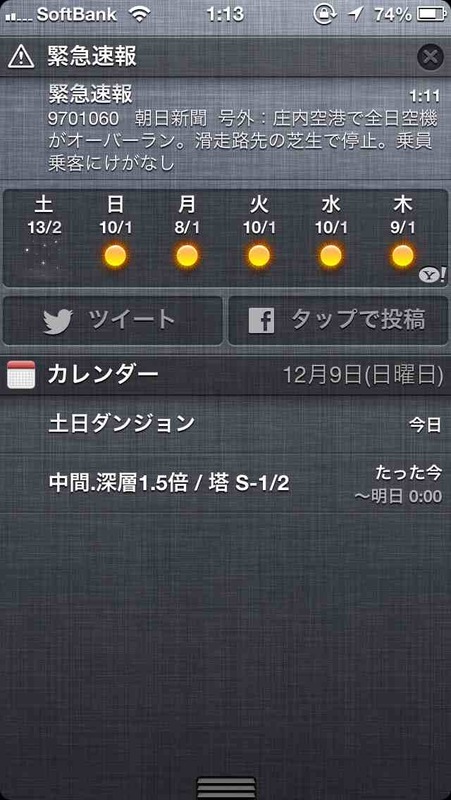 See below for a screenshot of the same in Japanese. 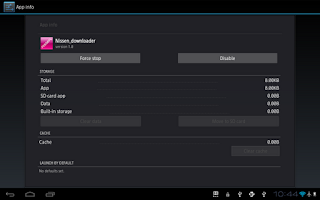 Scroll down and select the link to download the apk, and if you have adb enabled, install it with the command, adb install FAR7_SWUpdater04.apk. From there, the process is the same. 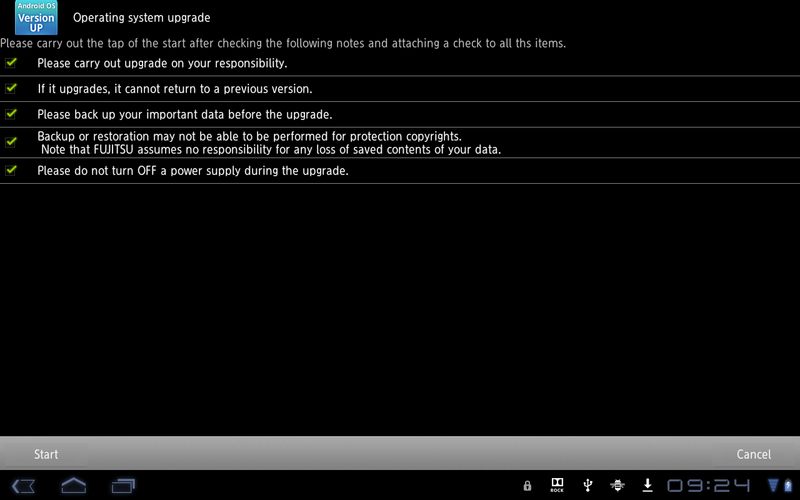 Note that you can also download the update package in advance and copy that over, but that is more hassle. 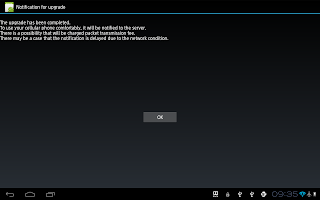 The wifi version has often had these errors with android.process.media. I guess at some point I need to look into that because it's obviously not yet fixed. 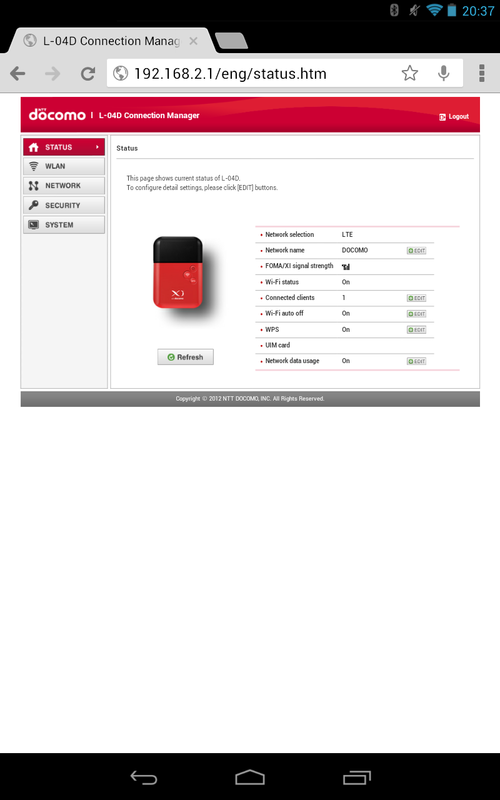 The b-mobile Smartphone Voice SIMs now have nano SIMs. From 3 pm today, they'll be available for purchase online from JCI. I'll update this post with the link once it goes live. However, these SIMs are 3G FOMA SIMs and, even if a fix for Docomo LTE on the iPhone 5 is found, these SIMs will not provide LTE access. Ever. There was of course a video that came out showing that Docomo's LTE network (Xi) can be made to work with an iPhone 5, but none of our readers have been able to recreate with success. All of them are still stuck with a 3G connection. Keep in mind that you're not out a whole lot if you get this SIM now, and an LTE version comes out some time later because you only need to use the SIM for 3-months to avoid a ¥5,250 early termination fee. You would need to pay a new fee for another SIM card, though. We've been waiting to get our hands on this for a while. A full review will be coming later, but, suffice it to say, this machine translation app works surprisingly well. Granted, expectations were low from the start. It does fine with the easy basic stuff that you might encounter trying to give directions on the street. 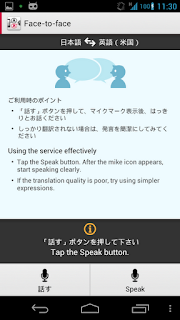 The above image shows me speaking in Japanese, saying 「このアプリは私の変な日本語を理解できるのでしょうか？」。This was one of the first things I said to it, and was absolutely shocked that it got it right - That is exactly what I said in Japanese. It's definitely hit and miss though. I've had about the same results speaking to it in both Japanese and English. So I decided to throw something a little more difficult at it: some classics from the Japanese comedy duo The Rahmens. Totally crashed and burned but certainly get an "E" for effort. Sushi ha geta ni nosete dasaremasu. Sushi is served on geta. shujin ha jikka ni tasuke dasaremasu. The master is saved by the parent's house. shoudoku shita mono wo shiyou shitemasunode, anshin shite sushi wo taberaremasu. Disinfected geta are used so you can relax and enjoy the sushi. shoudaku shita mono wo shiyou shitemasunode, anshin shite sushi wo shiraberaremasu. Because I use the thing which I consented to, it is checked in place. kore wo sonomama haite kaeru hito mo imasu. Some people just wear them home. kore wo sonomama irekaeru hito ga imasu. There is the person who just replaces this. ooku no nihonjin no ashi kara su no nioi ga suru no ha, kono tame desu. ooku no nihonjin rashi kara tuneni henka shinakatta tame desu. This is because much Japanese rashikara did not always change. Here's the audio transcript (no video, just audio). There's a bonus from the "ShimBASH" video at the end. 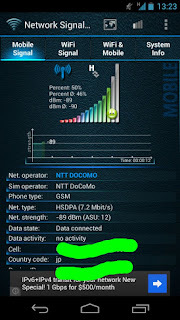 You are a Docomo user with an active data plan. Connected with FOMA 3G or Xi LTE - NO WIFI CONNECTIONS. I am told the app won't even appear in the market unless you have a Docomo SIM card. 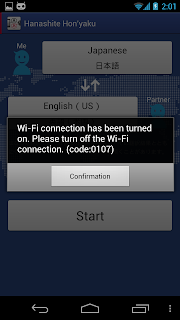 If wifi is turned on and connected, the app with tell you to shut off wifi before proceeding (with a "confirmation" button). So Sorry, no SBM and KDDI freeloaders! 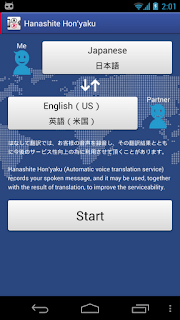 The requirement for an active mobile data connection to the online voice recognition and translation servers is a brilliant move by Docomo. If you're a Japanese person who wants to use it overseas, you have to pony up for international roaming. How's that for shrewd? According to data put together by NTT Docomo, to show how much ahead they are with Band 1 (2100 MHz) LTE deployment, KDDI actually has a larger number of base stations in the 23 Ward area of Tokyo than Softbank. It is of course no surprise that Xi would have the largest number of stations, since Docomo was the first to deploy LTE. Band 1 is the main band in Japan and the frequency that the iPhone supports. KDDI is actually in a very good position to cover Tokyo for phones that support 800 MHz LTE, which I assume KDDI will be releasing in the future. This will provide great coverage below ground. Following Softbank Mobile, NTT Docomo will also begin a trade-in program for old phones. Only relatively newer phones are eligible. The oldest Samsung phone is the Galaxy S, and the oldest Xperia is the Acro. Several feature phones are also included. See the Docomo site for the full list of phones. 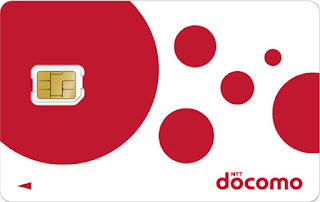 NTT Docomo will credit up to ¥5,250 when upgrading to a new phone. Started a contract for Xi with a Docomo nanoSiM (aka nanoUIM) with an factory unlocked iPhone. Turned on data roaming (Not sure why - maybe because DCM is not in carrier.plist?). Set the APN to open.mopera.net. His carrier version is 13.0. He confirmed that power cycling the phone, yanking (and replacing) the SIM, and turning off roaming didn't affect the ability to connect to LTE. Turning off automatic carrier selection shuts off data, however. 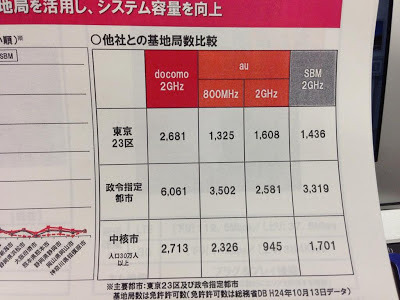 If this works for a Docomo SIM, it should work for a b-mobile SIM. 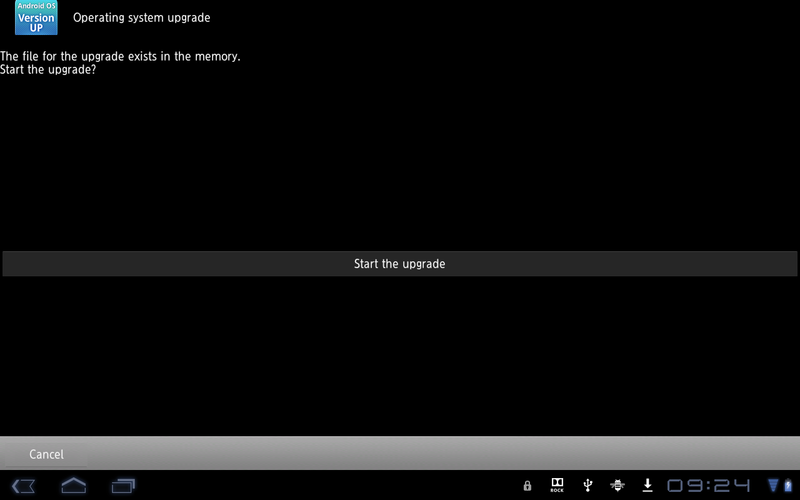 I don't have any idea why simply restoring the firmware would work. As always, do any of this sort of thing at your own risk! JCI's new Airport pickup Service allows Visitor SIMs to received directly from an airport post office. For an additional ¥210 a SIM card can be sent to New Chitose, Narita, Haneda, Chubu, Kansai, Hiroshima, Fukuoka, Kagoshima, and Naha International Airports. This appears to use Japan Post's Yubinkyoku-dome（郵便局留め）service. A passport is all that is needed for pickup. A word of warning: Confirm that your flight is scheduled to land during the post office's operating hours! If you flight is delayed or your other wise don't have tim to pick up the SIM before it closes, the package cannot be redirected to your hotel. You'll have to go back and pick it up the following day, which can be quite expensive and time consuming, depending on how far away the airport is located. This is something that JCI should have done from the beginning. There was originally no differentiation between the standard U300 and Visitor SIMs, other than of course the English support. After prices were increased for the Visitor SIMs, no additional value was added. Airport pickup service now gives people more of a reason to purchase a Visitor SIM. The extra fee for airport pick up is a bit dubious, though, because the post office doesn't charge any extra for Yubinkyoku-dome. The docomo L-04D is one of the newer (2012 summer model) "pocket Wi-Fi" solutions to enter the "me too" market that was first pioneered by eMobile in the Japan. Unlike many other devices, this one is LTE. After having used it constantly for a month, I can say that it's definitely a keeper and will be my regular data device for my Nexus 7 — as well as my laptops and Wi-Fi only iPads when I'm on vacation in Wi-Fi less areas. The actual device comes in either white or red, with a black LED panel lit in blue covering one third of the device. It comes with a Velcro-closing gray pouch with the docomo LTE "Xi" (Crossy) brand on it, allowing you to throw it in your bag without worrying about scratching it. As the pouch is soft, you will still need to worry about pressure from other items in your bag pressing the buttons, though all the buttons require them to be depressed for more than two seconds for them to do anything. The back thin lid can be pried off to insert the miniUIM (aka "micro SIM") – that is located underneath the battery – by prying the clipon back from the microUSB port. You will need long nails and a little bit of strength and practice to open it up. The IMEI, serial number, factory default SSID (which will be in the form "L04D_XXXXXXXX" where X is a hexadecimal digit, and factory default WPA security key (another different eight digit hex string) are printed. The actual device is SIM-locked, and will only take SIMs that MNC and MCC set to "Japan" (440) and "docomo" (10), respectively. I do not know if there is an official (or unofficial way) to unlock the device. Furthermore, when the device is in Japan, you cannot select the carrier APN; it is locked to Docomo's data "moperaU" based network. When you are overseas, however, you can select the network provider. The battery is changeable, and it uses a smartphone-use 1650mAh "L17" battery, which is used by another LG pocket Wi-Fi (the L-03D device that plugs into your USB port) device. The spec sheet says you should be able to get 4 hours of continuous use on LTE, five hours on 3G, and I've used the device hard with a tablet, and I can confirm that I'm hitting that number doing moderately heavy web activity — downloads but no video streaming. The specs claim 160 hours of idle time, but I didn't test this, and it's unlikely you'd ever hit this due to the default auto-idle power off of wifi and the fact that most devices these days are always doing some sort of minimal network activity in the background. When the device is operating, either in 3G or LTE mode, the whole device will get very warm. In winter it could double as a hand-warmer, especially with the felt pouch. providing a read-only mass-storage USB drive to provide a tethering/"modem" driver for Windows. A driver is not needed for MacOS. It will behave as a proper USB device and identify itself to the computer with a "LG Electronic, Inc." major/minor ID of 1004:6329. It does not need the USB to have its data pins active or shorted (in other words, all USB chargers should work), and it only needs the minimum amount of current provided by USB (500mA) and can charge and operate at the same time; you do not need a high-current USB charger for it. A charger is not included with the purchase of the device. The other minor purpose the USB port serves is that it's opening hole serves as the leverage point for prying the rear cover off. I did not test the Windows driver or its tethering capability or mail capability, but there are instructions for setting up the virtual dialing on both Windows and Mac (sorry, no Linux) to access the carrier mail. a power button, which powers the unit on or off after holding it for 3 seconds. It will also "wake" the device if you've set the power savings mode (set to on by default) if you press it momentarily, and even when awake it will light the LED screen showing the status of the device for about 15 seconds. a Wi-Fi on/off button, which turns the access point on/off if held for 3 seconds while leaving the cell radio unchanged. The Wi-Fi defaults to turning off to save battery automatically after 10 minutes on inactivity. The timeout can be changed in the settings, including disabled. a WPS button. 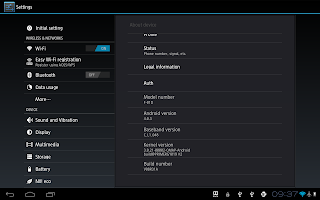 When pressed for three seconds, the device will enter "push button WPS" mode, which allows a Nexus 7 (or other Jellybean device) or anything else that supports WPS to negotiate, within a 2 minute window, the SSID and the password for the device. This is pretty handy, as although you can change the SSID of the device, you cannot change the hard to remember password, which is a 8 letter hexadecimal sequence. 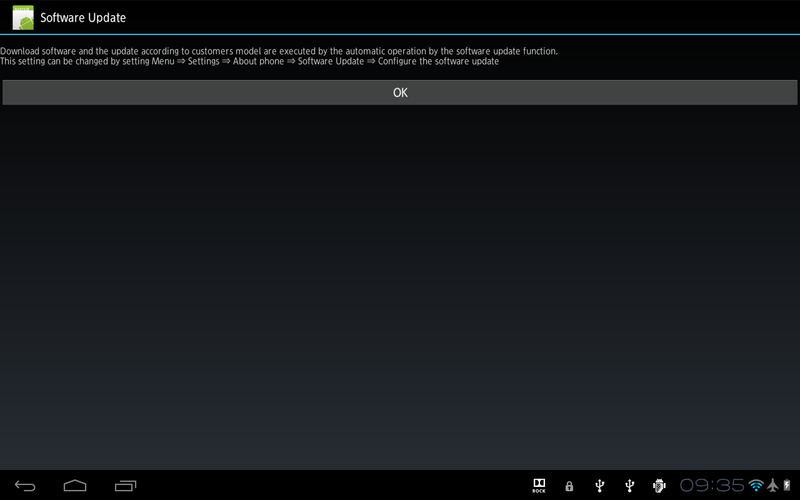 The Jellybean-based Nexus 7's WPS function works like a charm here. 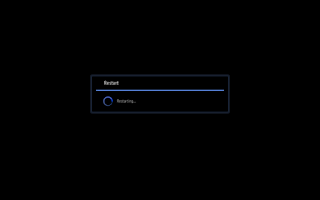 The extra security concious may change from push-button 2 minute window based WPS to PIN code based WPS through the settings, or disable it completely. The LTE speed in Japan is very good; I was routinely getting over 80% of the 75Mbps downstream and 25Mbps upstream speeds. 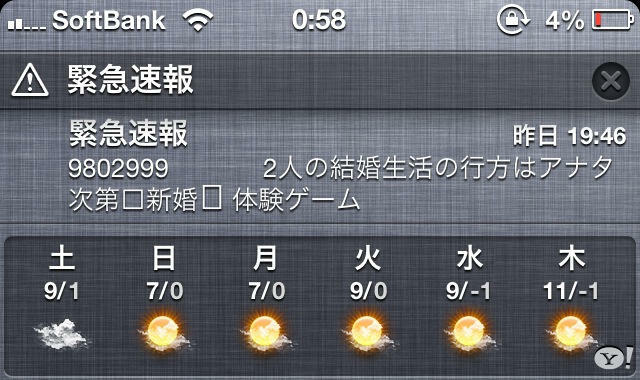 In the 23 wards of Tokyo, I did not notice it going into 3G mode for any serious periods of time. Cell negotiation is pretty fast, so if you're underground in the Metro and signal isn't available in the tunnels, you can get about 25 seconds of usage per station between cell handshake completion and loss of signal. I tested it overseas in the San Francisco area; it wanted to connect to either AT&T or T-Mobile, and connected at 3G speeds. In South Korea, it connected to SK. The Wi-Fi access point does 11b/g/n (you can force it to 11b only, 11b/g, 11g only, or 11n only), but Japanese style, which means 2.4Ghz only (5Ghz is not permitted for use outdoors for 11n or 11a in Japan). You cannot select channel 14 for 802.11b. Japan mode gives you 13 channels, but there is also a U.S. mode (11 channels) as well as a mode for Korea and Canada. You can force it to use a particular channel but the default auto mode will do its best to pick the least congested frequency range. The default encryption is WPA2/PSK/AES256 but you can set it to weaker protocols for devices such as the Nintendo DSi. The DHCP server gives out 192.168.2.0/24 addresses by default, and allows a maximum of ten (10) simultaneous connections. It supports IPv4 only. UPnP support can be enabled. WAN ping is disabled by default. Like most consumer routers, the IP address range, the default address, etc., can all be changed in the web configuration. the amount of data you've sent/received. This odometer resets every month. While the recommended data plan is unlimited, you can look at this and tell if something is weird with your consumption. You can also set a hard cap via the web Connection Manager. 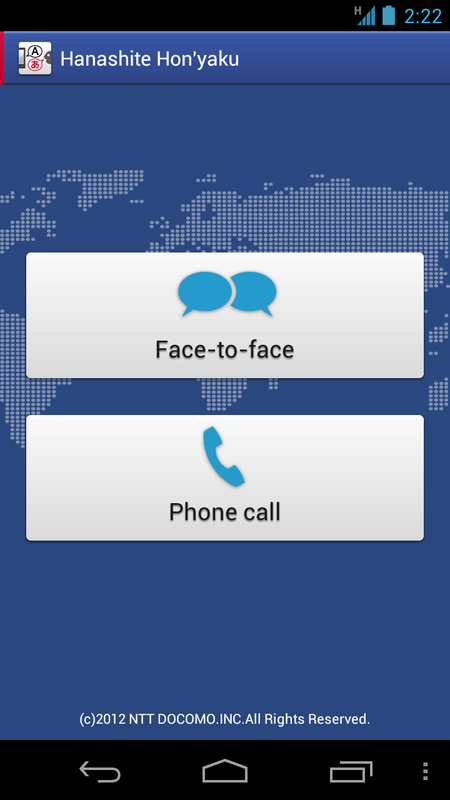 When connected overseas, the carrier is displayed in a plain font. When connected domestically to docomo, you get a graphical brand rendition of the carrier docomo. If you've ever used a consumer Wi-Fi router, most of the (non-advanced) features and functionality you expect will be in this interface, including an extremely primitive firewall, MAC address restrictions, etc. 99% of L-04D customers will never need to touch this stuff to make the device useful. In conclusion, the L-04D delivers what it claims to do, and pretty much stays out of sight / out-of-mind, which is exactly what it's supposed to do. I can now travel to work, with the access point hidden in my bag, using my Nexus 7 to read the news and surf the net while I travel in and out of midtown for work. The performance is as good as it gets speed wise for Japanese LTE, even during peak periods (rush hour). Overseas the performance was not as nearly as fast (3G), but the speed was more than adequate. While I only tested in the 23 wards of Tokyo, I received a LTE signal over a 3G signal 95% of the time (I can force a 3G signal by going underground in my home). If a pocket Wi-Fi device at LTE speeds is what you're looking for, you could do far worse than the L-04D. NTT Docomo announced the sale of Nano SIMs from November 1, 2012. Without a doubt, JCI will also offer them shortly, so it will be easier to use an iPhone 5 with a b-mobile SIM card. 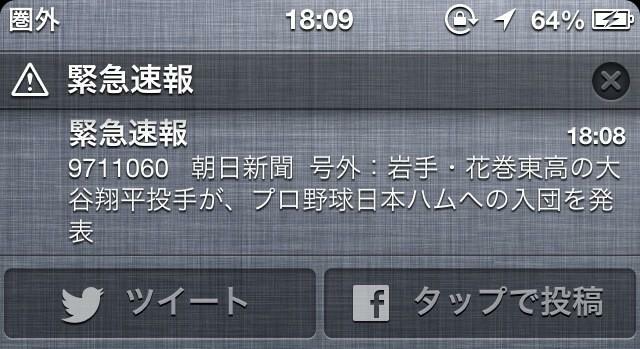 For reasons not yet entirely clear, iPhone 5s won't connect to Docomo's Xi LTE network. So an LTE iPhone will be stuck at 3G speeds when used with Docomo. 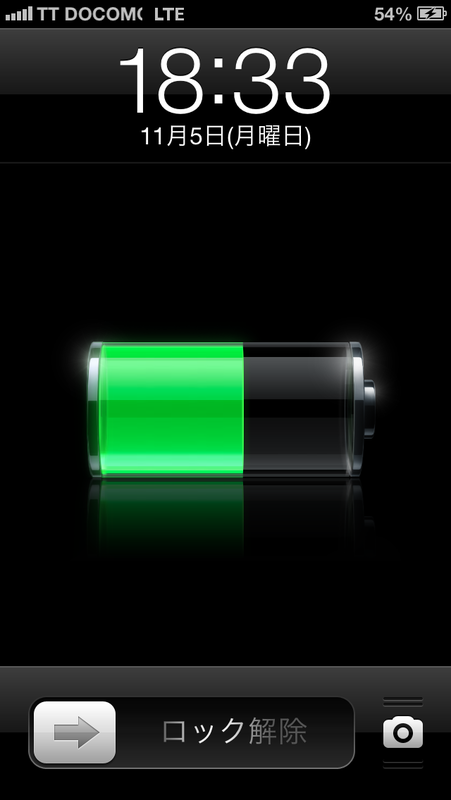 Once the iPhone 5 is jailbroken, we'll have a better idea of the problem. This will only work for unlocked iPhones, for example from Hong Kong. The US Verizon iPhone 5 is reported to have an unlocked GSM/W-CDMA/LTE baseband (thanks to Google), so it might work with Docomo. I highly recommend waiting for confirmation that Verizon iPhones work with Docomo before running out and signing 2-year contracts. Fixing the KDDI iPhone 5 2G network "Maru Mondai"
It was brought to my attention yesterday by Andrew Wright that some KDDI iPhone 5 users are getting stuck with a 2G CDMA data connection. The bad news is that so far, I've only noticed LTE reception in two locations, one of which is my home (which has WiFi anyway). Half of my commute, from Kasumigaseki to Yotsuya on the Marunouchi line, gives me GPRS signal. It's impossible to do anything with it. The Marunouchi line may be a subway line but even standing overground at both Kasumigaseki station and at Yotsuya station gives me weak GPRS signal. According to the manual, the Maru symbol ○ is used to denote a 2G connection. In the case of KDDI, this is actually indicating a 1xRTT CDMA connection, which to the end user is the same as being stuck on GPRS in the US or Europe (Japan never used GSM voice or GPRS 2G data networks). Therefore a similar problem would not happen with Softbank, since if no 3G or LTE are available, there is nothing to fall back to – you'd just have no signal at all. The fix quickly came out in the ensuing discussion. Dial *5050 and waiting for a recorded message that will update the PRL (Preferred Roaming List) to a higher version. It also took several tries for it to work. It would seem that Andrew's set up at the shop was probably incomplete, which will surprise no regular readers. See here for a growing list of the dumbest things we've been told at Japanese mobile shops. I'm not sure if this is at all related to KDDI's "smart" LTE, where the network signals the phone upon entering an compatible LTE service area. The LTE radio on the KDDI iPhone is supposed to stay off in areas with no LTE coverage, saving power rather than searching in vain for a nonexistent network. 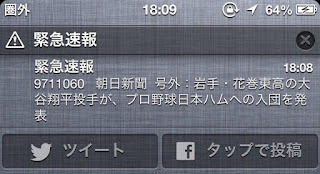 According to KDDI (J), the problem is believed to be related to switching between the 3G CDMA-2000 and LTE networks. 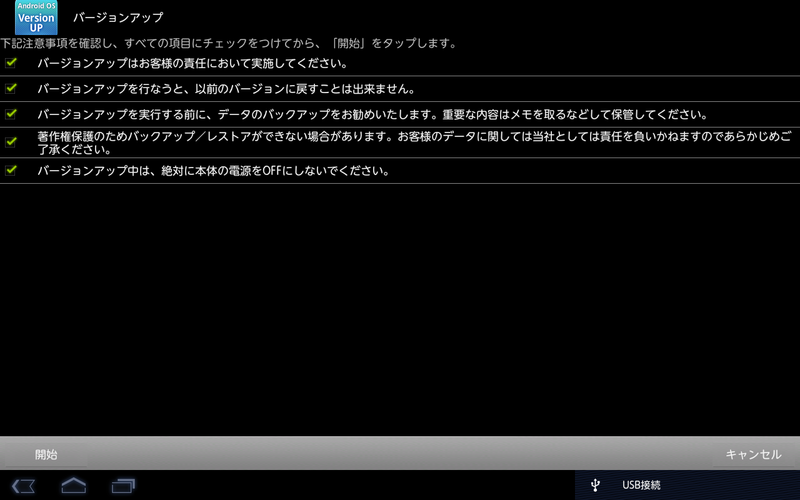 Confirm PRL version: From the home screen, got to Settings → General → About/Information → Carrier. 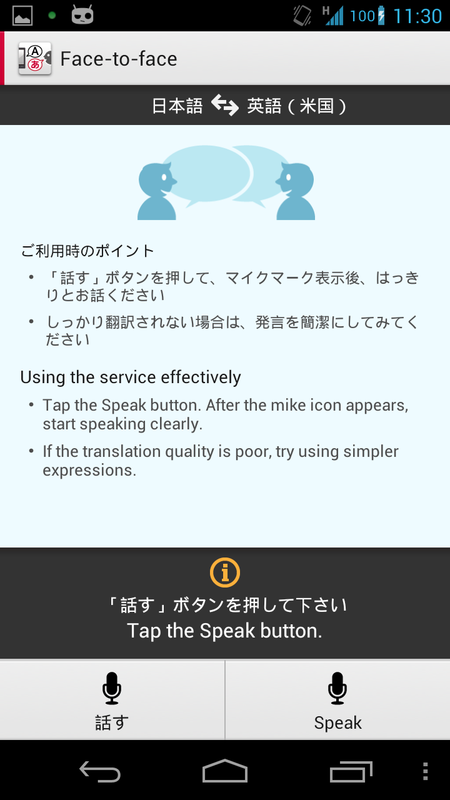 Listen to a recorded message (in Japanese) telling you to hang up and wait about 10 minutes while the list is updated, and that depending on your area, the update may be unsucessfual. 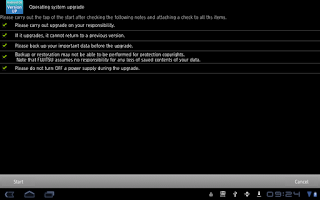 After 10 minutes, check the PRL version again and try to update (or change locations) if not on v. 5 (or higher). Click "finish" (終了) after seeing a message saying that the R-UIM card data has been updated (au ICカードのデータ更新が完了しました). 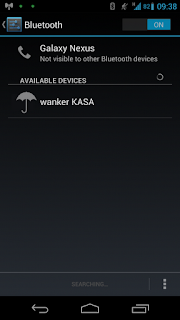 UPDATE 2: THIS POST IS A JOKE - THE WANKER KASA DOES NOT EXIST. We made it up, just like a "journalist" (who's name sounds like wanker) appears to have made up a story about people in Tokyo using umbrellas as radiation shields. We thought this was over-the-top enough to be immediately identified as sarcasm. UPDATE: No, this umbrella will have no effect on the rate of umbrella theft because it lacks a cellular radio, GPS, and wifi. 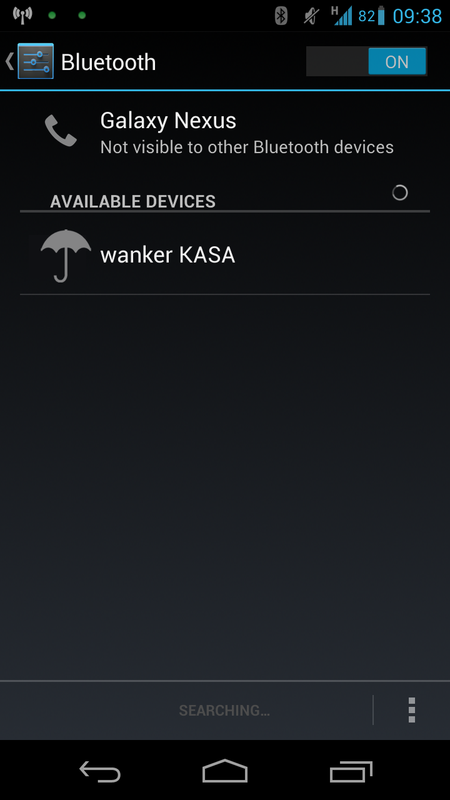 Even if a Find My Kasa app existed, the umbrella has no means of geolocating itself. It can't use GPS satellites, it can't triangulate between cell towers, and it can't fix a position based on the MAC addresses of nearby wifi access points. 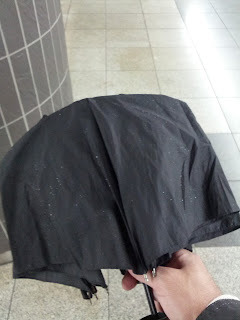 Even if it could do all that, the umbrella has no way of transmitting it's position. As grand theft kasa is rampant in metropolitan regions, I'd consider investing in a heavy-duty locking device to protect your investment while unattended in the racks commonly located outside of most retail establishments. Softbank Mobile recently announced the wanker KASA, which looks just like a normal umbrella but incorporates their patented, silicon-based wafer radiation detecting technology formerly found only in the 107SH Pantone 5. The umbrella pairs with your phone and streams radiation counts integrated over the external surface area of the umbrella, with the same accuracy and precision. The umbrella is free for iPhone 5 owners who preorder an iPad Mini 64GB LTE model. Otherwise it costs ¥9,985 for existing customers. New customers who port over an existing phone number will receive a 45.6% credit applied to their bill 3 months following the first month during which they use between 1 and 1.2GB of LTE data (calculated on a base 10 conversion from bytes, where one byte is 127.94 packets). Note: This post was originally published at Janne in Osaka and has been slightly adapted for reposting here. 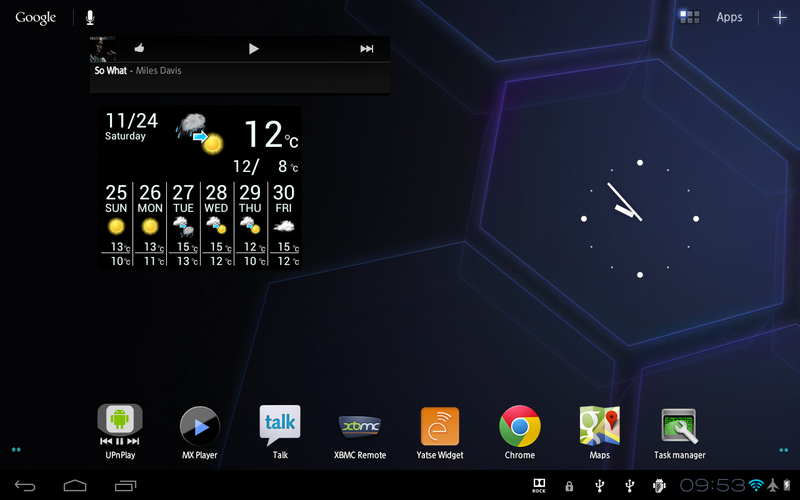 I've had the Nexus 7 - Googles new 7" tablet - for a month now, and it's a nearly perfect device. 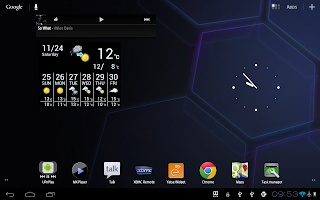 It's not my first tablet; I've used a budget Android 2.3-based tablet for the past year. It was cheap, limited and full of flaws, but I did find it surprisingly useful as a book reader. The N7 removes every one of those flaws and annoyances. I've also used and admired the iPad, but find the Nexus 7 to be the better device for me in many ways. 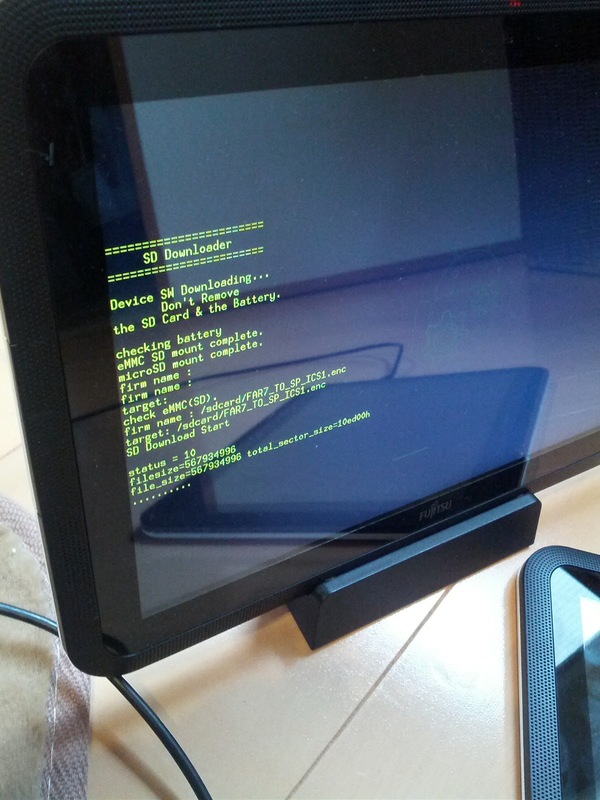 The Nexus 7. Some light reading and web browsing during lunch. it's easy to hold and use in one hand, and if a few drops of soup would hit the screen, it's nothing to worry about. This kind of situation is where a tablet this size excels. The size of the N7 is just right. Width, height and weight is similar to a paperback, but it's very thin, and with its curved edges and sloping, grippy back it's easy to hold and use in one hand for long periods. It goes easily into a coat or jacket pocket, and it even fits in my jeans back pocket when I need both hands for the food tray at lunch. A larger device is too big and heavy to use at the table, on the train, reading in bed or looking thing up on the street. Of course, a larger device may be very good for other uses — I don't recommend taking the Nexus 7 into the bath. 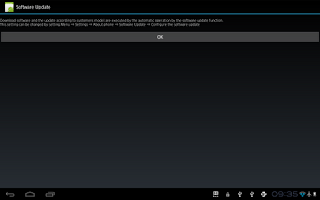 The Nexus 7 is wifi only (though a 3g version is rumoured). It keeps the price down and battery life up, of course, and you don't depend on a network carrier with opinions on what you can and can't do with your device, but it can be a little limiting. Fortunatly it is easy to tether the N7 to my phone when I need a network connection on the go. 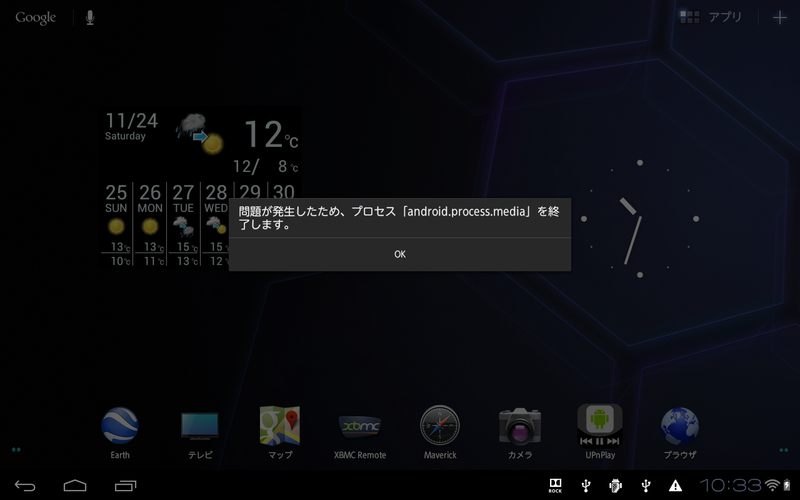 I have a Galaxy Nexus on the NTT DoCoMo Xi network, and tethering is allowed. Once you've set it up ut works fairly well. 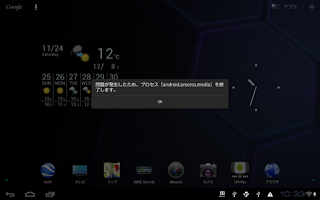 Turn on "wifi hotspot" on the phone (you need stock Android, not NTTs version) and the tablet automatically finds and connects to it. I have a 7Gb monthly data limit, but I've yet to actually use the entire monthly quota. I got a slim book-style cover, but while it may make sense for a large tablet it makes the Nexus 7 clumsier than I like. Fortunately the N7 just snaps in and out of place, so I use the cover as a carry sleeve and stand — the front flap folds back to become a support — but remove the tablet for use. The N7 really shines when used without a cover, so I'll probably replace the cover with a slip-in pouch later on. The N7 is a "nexus" device. That means that it's Google-branded and runs the latest version of Android. It gets new updates as soon as Google releases them — we got 4.1.2 just last week — not when the maker or carrier decide to update it (if they ever do). 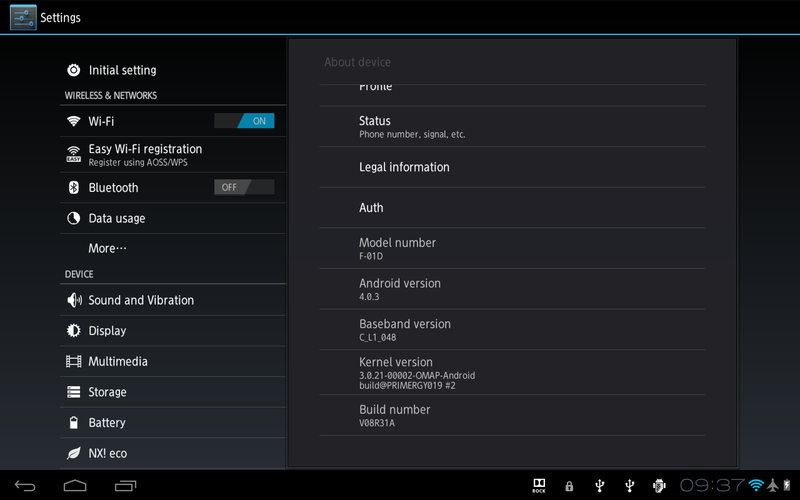 Nexus devices are meant to showcase the Android system, and Android 4.1 on the Nexus 7 is a pleasure. It's smooth, beautiful and fast. The UI just gets out of the way, and is far more polished than earlier versions. 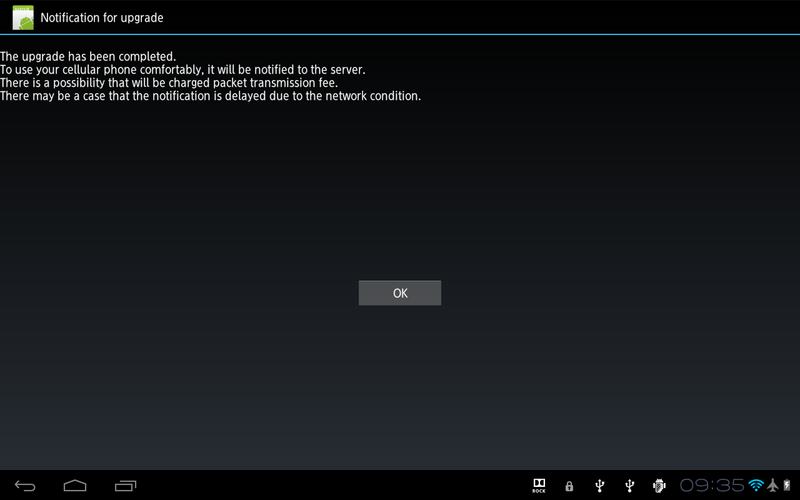 Up until now, many cheap tablets don't actually have the Google Play store, a crippling omission. The success of the full-featured, fully-supported Nexus 7 will hopefully have an impact far beyond its user base. The Nexus 7 — at the same price level as many budget tablets — will set a new minimum standard and weed out most of the horrible, barely usable products currently out there. Any maker who wants to stay in this market will have to at least match the Nexus 7 for basic features or find themselves without customers. Battery life is good — really good, in fact, with the latest update. As a test, I took the N7 off the charger (standard micro USB - thank you for that) on Tuesday morning, then used it as I normally do until the battery ran out. A typical day I read my RSS feeds during my morning commute, read a book during lunch and at night, and occasional web surfing, games (I finished "Anomaly: Warzone Earth"1 on my way home Tuesday night), reading and dictionary use throughout the day. 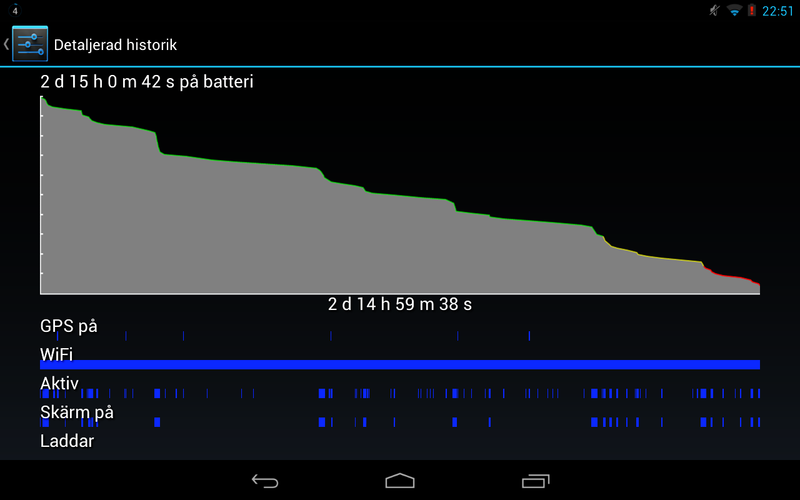 Nexus 7 battery graph just as it reached 4%, giving me 2 days and 15 hours of use. 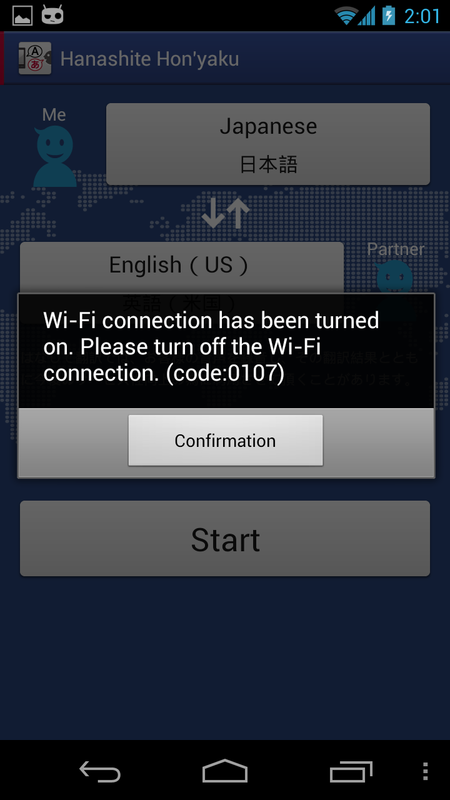 Wifi was constanly enabled, as was account synchronization and GPS. I disconnected the N7 Tuesday morning. It reached 4% charge and a final power warning on Thursday night, after two days and 15 hours; that is 63 hours of use on one charge. This is fairly light use, but typical for me on weekdays (I spend most of my time working after all). I've made no attempt to extend the battery life; If I turn off GPS, lower the screen brightness, turn off wifi when I'm not using it and don't play games I could probably use it another half a day on a charge. What's the use for something like this? Anything that involves mostly consuming things rather than creating it. It's perfect for reading books; email and web surfing (Firefox runs great); forums and chat; social sites such as Facebook, Google+, twitter and so on. The screen is fine for viewing photos (though that's one area where a larger screen could be handy) and movies. It's an excellent gaming system; I've got Minecraft, Final Fantasy III, Broken Sword and a dozen Humble Bundle games on it and they all run beautifully. It excels at video chats. 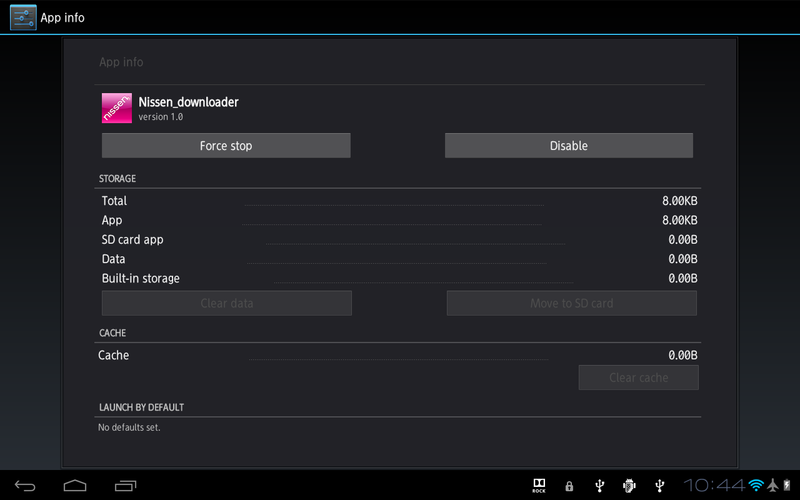 And for all the talk about the lack of "tablet optimized" applications on Android, I've yet to find an app that doesn't work great on the Nexus 7. 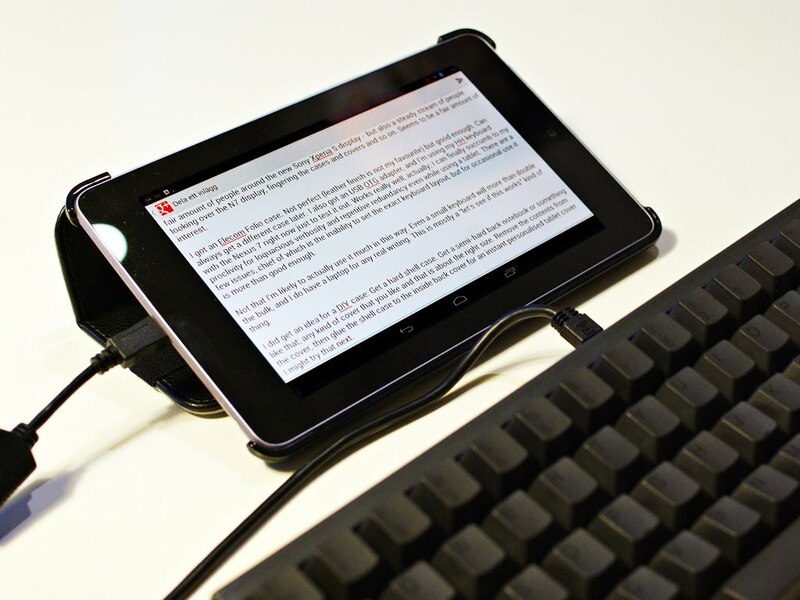 You can connect a keyboard to the Nexus 7 with an OTG USB adapter. Here I've connected a Happy Hacking Professional JP keyboard2 to the Nexus 7 and it works just fine. Even such a small keyboard dwarfs the N7, though, and as the small size of the tablet is a main feature, adding a bulky keyboard sort of defeats the purpose. If you need to write a lot, then do yourself a favour and bring a real laptop. The weak point for tablets is creating content. Writing is clumsy and slow on a touch screen, and not comparable to a real keyboard. Short emails, chats and posts are fine. 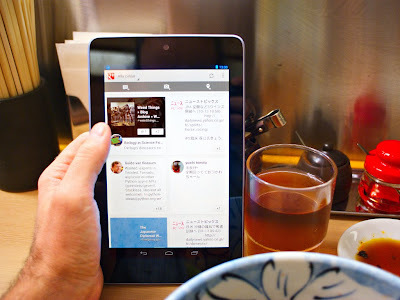 Longer texts soon become cumbersome; I'm drafting this blog post on the N7 at a cafe in Namba, and this is about as long a text I would ever want to write without a real, physical keyboard. Small portable keyboards are not a real solution; they're almost as hard to write with as an on-screen one. Android has voice input of course, but it's too slow and still too error-prone to replace typing, and you usually can't dictate things aloud in public. The price is an overlooked feature of the Nexus 7. At just below 20k yen it's half the price of similar size Android tablets and substantially less than an iPad. That's cheap enough that you can buy one on impulse, rather than after careful decision, and cheap enough to easily replace it if it would break. An expensive tablet is something you feel you must be careful with; something you need to protect and coddle, wrap in a protective case and keep safe in a bag. The N7, on the other hand, I can treat like a paperback or noteblock rather than a computer. I simply throw in my bag and use in a crowd without worry that it'll get bumped, scratched, spilled on or dropped. It's light and well-built and if it breaks then getting a new one would be no big deal. I've got the 16Gb model, though an updated model with 32Gb memory is coming. You might be tempted to wait for the update, and I wouldn't blame you of course. But I've installed all the apps, books and other data I use, and it takes up less than 3Gb on my 16Gb Nexus 7. You can reportedly connect memory sticks and USB hard drives to it using an OTG USB adapter. That would give you essentially unlimited storage, but you apparently need to install extra software for that, and may need to root your Nexus 7 as well. Google and Asus have really hit the bulls-eye with the Nexus 7. There's a few quirks and niggles — it can't connect to ad-hoc wireless hotspots, and there's no Swedish keyboard dictionary — but it doesn't detract from it being a nearly perfect device. #1 A neat idea, well executed. The game's a bit short, but as it starts to feel a little repetitive towards the end, it's really just the right length. Another unexpected Humble Bundle gem. #2 The HHKB keyboards have full-size keys in a very compact layout. Perfect for a cluttered, busy desk. There's two model lines: the "Lite", which is mechanically a normal keyboard with the compact layout; and the "professional" with much higher quality build and better tactile feel. If you have the money to spare, get a "professional" model.